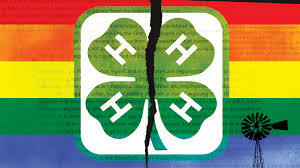 National Young Farmers Coalition | Student Loans are Next on the Agenda! Student Loans are Next on the Agenda! 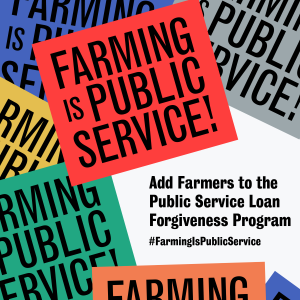 NYFC is calling for the addition of farmers to the Public Service Loan Forgiveness Program, which currently provides debt relief to doctors, teachers, government employees and nonprofit workers. For enrollees who make 10 years of income-driven student loan payments, the balance of their federal loan debt will be forgiven. Not only will this help farmers get out from under debt that they are unable to repay, but it will provide an incentive for new farmers to enter careers in agriculture. But to make this happen, we need you! As a first step, join the #FarmingIsPublicService campaign. There, you can learn more, sign up for campaign updates, take our survey and buy the campaign tee! Winning student loan forgiveness for farmers isn’t going to be easy. It’s going to take all of us, working together, to get farmers the support they need. « previous article: NYFC Launches Student Loan Campaign to Support Beginning Farmers!